Leaders should, according to their deeds, deserve their praises or blames. And men should be critically sorted out from boys. In lieu Somalis notwithstanding their old proverb which says: ‘Hubsiimo hal baa la siistaa’ (Looking before leaping is worth a she-camel)–despicably heap praises on their leaders before acquainting with them. Instead of promoting the improvement of the statecraft by encouraging their leaders’ successes and admonishing them for going astray the path by offering constructive criticisms, they promptly and blindly flatter them. However, disappointment after disappointment the latest of which was the disillusionment with President Farmajo’s soi-disant patriotisms–after he handed over a pinioned fellow Somali citizen named Abdikarim Sh. 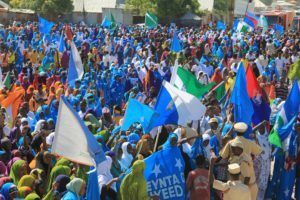 Muse to Ethiopia, Somalia’s avowed enemy–it is about time Somalis realize that flattery won’t take us nowhere; and thus they should outgrow the culture of promptly singing undeserved praise songs for their leaders. As a child growing up in Somalia in the 1970s at the height of the Siyad Barre’s regime, I was force-fed, like any other child in the country, to memorize ‘Guulwadoow Siyaad’ (the victorious Siyad), one of the myriads of Siyad Barre’s praise songs, even before I heard my, Somali, national anthem. This song was a must to sing, in chorus, in morning school parades (from nursery to high school) and all public assemblies. Besides, whoever dared–adult or child– thinking of not singing it, languished in prison. That really disgusts me to this day, and I could not understand what kind of pleasure a national leader could draw from empty flattery words out of children‘s mouths, or for that matter adults’ mouths. In essence, a primacy was given to teach pupils the Siyad Barre‘s praise songs over their national anthem. Consequently, singing of the leader’s praise songs was rammed Somali throats down in that time; and I think, that is the reason today Somalis still mistake leaders’ praise songs for patriotism.The leader’s love of flattery was not one that neither started with Siyad Barre nor ended with him; but Somali leaders practiced it long before him, did it after him and still do it to this day. Sayyid Mohamed Abdulle Hassan who led the Dervishes freedom fighters in the early twentieth century (1900-1921) against European/Ethiopian Colonizers–allegedly had at least one praise song: ‘Sayyidka hooyadiis baa nin dhashey’ (the Sayyid’s mom bore a man) is said to have been sung for him at his headquarters. Richard Francis Burton–an English explorer/spy, who traversed the northern part of Somalia in 1854, in his book ‘First Footsteps in East Africa’, wrote: “The country teems with poets, poetasters…every chief in the country must have a panegyric to be sung by his clan and…” Though, it is worth to note that Mr. Burton, at the time, was talking about Somali poetry. However, the Somali leaders’ love of flattery–call it, ‘Flattery Love Syndrome’, became epidemic during Siyad Barre time in which praises to the leader became a custom. And since then, the praise songs sprung up with every election/selection of someone to a political position from district to national level–from district mayors to the regional state presidency and the national presidency; as a result, every regional [tribal] state president now has his (and so far they are all men) own song[s] of praise. Since only those who failed to achieve anything for real draw a sense of achievement from the flattery, the Somali leaders’ peculiar fondness for the puffery seems to stem from their deficiency of real achievement that they could be proud of. Someone with conscience should be surely blushed at empty praises. Nowadays, as soon as one ascends to an office or a political position in the government, no matter that individual’s moral principles, Somalis start singing praise songs for them; hardly are those individuals praised on merits of what they had already achieved, but only on their anticipated future achievements: literally, their achieving of all they should have is fantasized about and they are profusely flattered on it. Meanwhile, after they fail achieving an iota of their imagined achievements–due, in no small measure, to the complacency they were lulled into by those unmerited praises–you often, paradoxically, hear that their yesterday flatterers saying ‘sidaan ma moodeyn’ (I thought not like this of them) of the very individual that they were praising yesterday. 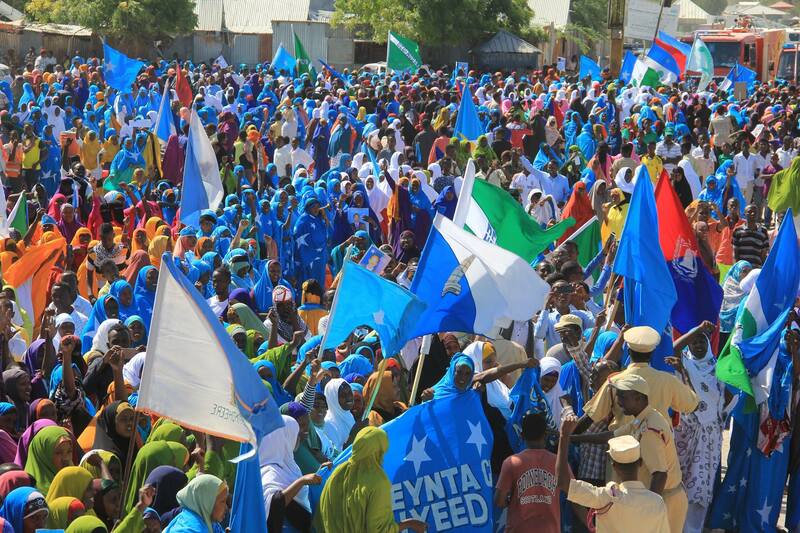 Moreover, the Somali leaders foolishly swallow the flattery with no grain of salt; they thoroughly believe in those public adulations; they get intoxicated with these baseless praise songs until they get lost with the realities [predicaments] in their country, and hence lose whatever little plan they initially had in mind in those public plaudits. They invariably become conceited, swellheaded fools, and instead of meeting the expectations for which they were sung, they sign off their country away. Flattery, it is said, corrupts both the receiver and the giver; and in the Somalia’s case, it does that to the full effect. It doesn’t only make fools of the [flattered] leaders, but it also eroded the moral principles of the [flatterer] people who compete for singing praise songs for whoever ascends to the civic or political leadership position, regardless of the integrity of the individual. The leaders often take such public light-mindedness–laxity of moral obligations in the public as a permission to disregard the common interests. They hence give precedence their self-interests or advantage of the regional [tribal] states over the national interests, and thus corrode the whole national patriotism. Flattery is just for the fools. The custom of flattering the leaders must come to end. Somali public must at least hold their tongues and know which way the wind is blowing before singing praises for the leaders. Often we [Somalis] rushed hailing neophyte, first-time-in-office, as a hero to our disappointment. 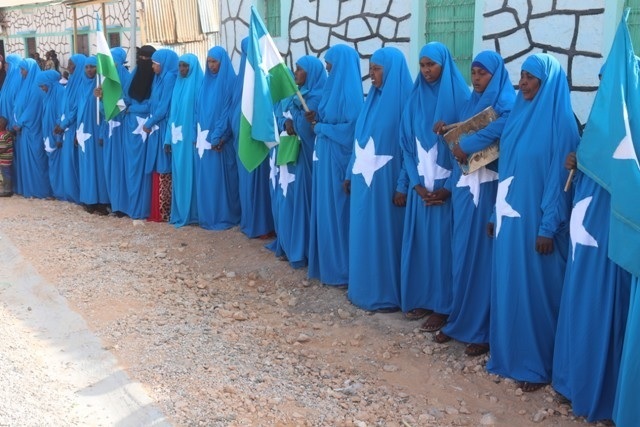 However, the leaders who desire a sincere praise (not a flattery) from the Somali public should lead an exemplary leadership which should be imitated as role model–for imitation is said to be the most sincere praise. But first, my fellow country men and women, we must detest and stop singing unmerited praise songs for our leaders. We should rather have unsung-heroic leaders than serenading titular-happy fools.